2012: 6 races 29,824 metres completed. 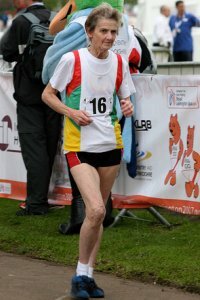 2011: 9 races 37,160 metres completed. 2010: 5 races 25,272 metres completed. 2009: 18 races 67,000 metres completed. 2008: 15 races 62,000 metres completed. 2007: 10 races 41,000 metres completed. 2006: 7 races 29,000 metres completed. 2005: 6 races 26,000 metres completed. 2004: 3 races 15,000 metres completed.